Kubota’s M100GX is engineered to deliver maximum power and torque output with outstanding economy and low emissions. Powered by a turbo charged, 100HP, 4 cylinder, CRS Kubota diesel engine and intelligent technology including Kubota’s exclusive Intelli-Shift 24 speed transmission and PTO for enhanced productivity. Kubota’s own 4 cylinder, 3.8 litre engines deliver ample torque for powerful lugging and constant power for demanding PTO work. The Kubota Intelli-Shift 24 speed transmission tackles any farming job with ease. It works comfortably in creep speed applications, fast transport and anywhere in between thanks to the clever coverage of gear and range ratios. 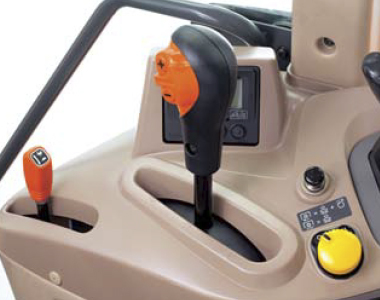 Tractor operation is push button easy and can be automated to make life easy and boost productivity. Take control of engine revs, cruise speeds, gear changes and headland functions. 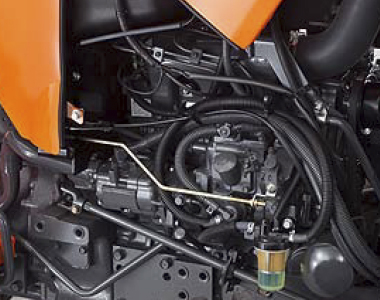 The unique Kubota heavy-duty bevel-gear front axle design allows for high ground clearance, tight turning and drive line assisted Bi-Speed turn – a Kubota exclusive that reduces the turning circle dramatically. 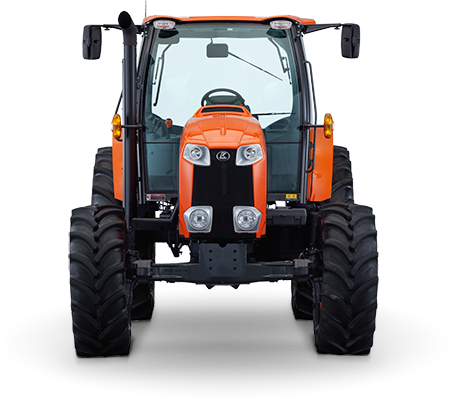 The Kubota LA 1954 front end loaders are integrated into the MGX tractor design and convince with great visibility, quick cycle times, responsive controls, high capacities and extremely easy attaching. A perfect match to the capable MGX series.